It’s been a year since Nimna Diayte met President Obama in Senegal when he stopped by for a chat at her booth at the Feed the Future Agricultural Technology Marketplace. The president was impressed by Nimna’s can-do attitude and the way she had become a community leader and entrepreneur. Nimna made quite the impression! In fact, President Obama even mentioned her earlier this week during a discussion at the U.S.-Africa Business Forum in Washington, DC. As she told President Obama, a few years ago she decided to convene other women farmers to form an association because she realized that by working together, they could leverage skills, tools, and products to become more competitive in the agriculture sector. She received support from Feed the Future through the U.S. Agency for International Development (USAID) to access bank credit to buy seed and fertilizer, enabling her to boost her yields and earnings. By the time she met the president, she had made enough to even buy a tractor! “When I met President Obama, he challenged me to drive it myself,” said Nimna, noting that she’s so busy running her business now that she hires drivers to help. She generates additional income by renting the tractor to other farmers when she isn’t using it. Since the president’s visit last year, Nimna has paid off the loan she secured with Feed the Future’s help. 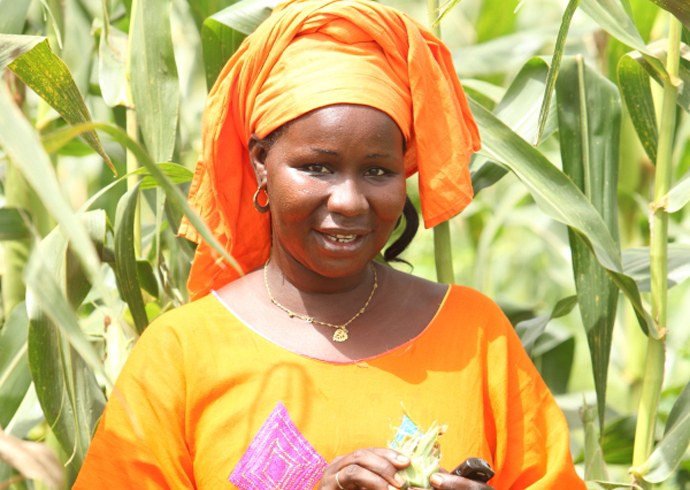 The farmer association she was heading at the time has changed its legal status and is now a full-fledged limited liability cooperative – one of the first in Senegal to adopt this innovative business status. Nimna is the current president of the association, and its 2,023 members accessed loans to buy enough seeds and inputs last year to sow 4,000 hectares and produce 11,000 tons of maize, achieving yields that were double the national average. In total, the association’s members made more than $2 million last year in revenues from selling maize. Nimna yielded 63 tons of maize out of the 23 hectares she planted; some of it certified as seed, which sells at a premium. 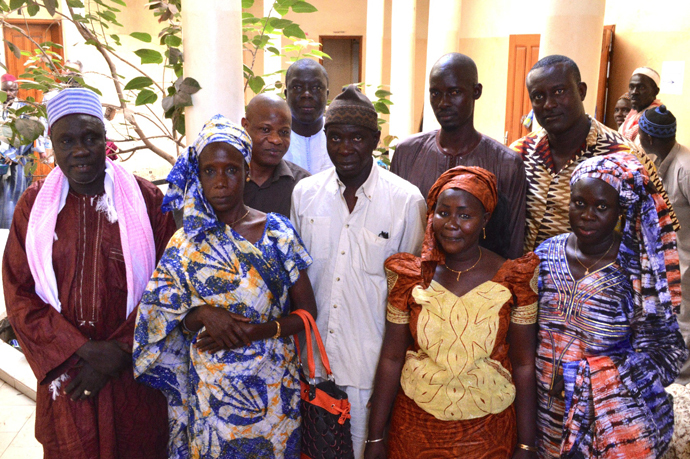 “[The association] gives a good service and farmers now accept that we charge a small fee on the inputs as well as on the sales to cover management costs,” she said, adding that they have started training farmers in other communities about quality control. “We also use clean new bags that have an association brand on them,” she said. The miller we sold to is very pleased – our maize is just like the imported one now. Nimna has encouraged the association to adopt new practices to mitigate risks associated with external factors that can impact farmers, such as the effects of a changing climate. The association is adopting a new rain-index insurance promoted by Feed the Future, for instance, which pays farmers automatically when rainfall totals are low. With business acumen and a little support from Feed the Future, Nimna is just one example of many entrepreneurial farmers thriving in Africa.